Learn this traditional technique of enamel painting with Tilly Wlkinson. A former Chair of the Guild of Enamellers and skilled artist and teacher Tilly will introduce you to this beautiful and delicate process, creating detailed and many layered small works of art. 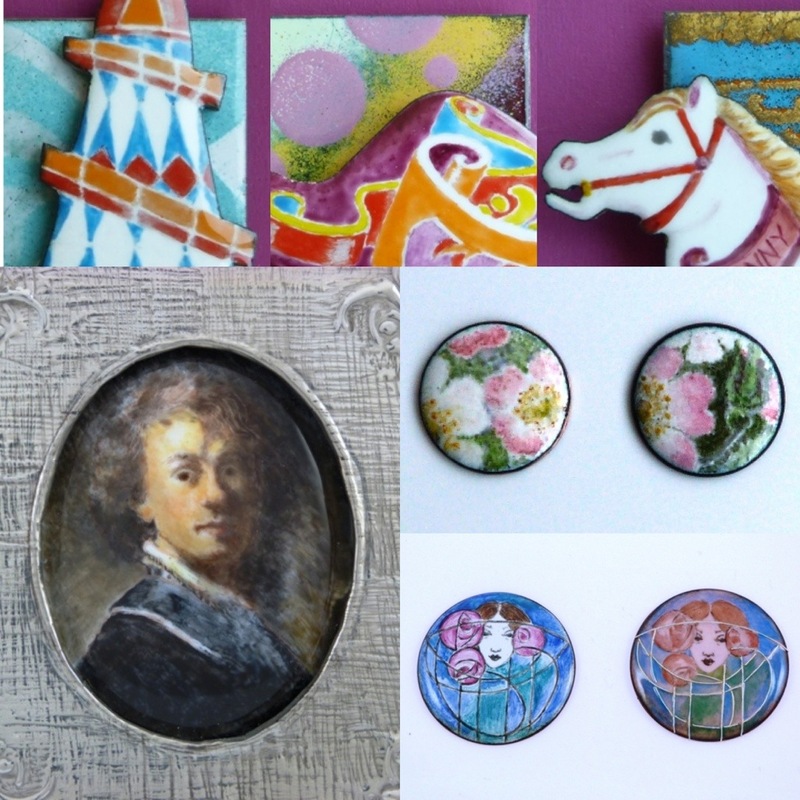 During this 2 day class you will learn how to create your own miniature piece of enamel painting. We will cover how to press form and prepare a suitable base from copper shim, how to apply a suitable enamel layer on which to paint and how to fire it. In addition we will look at techniques for transferring your chosen design onto the fired enamel surface prior to painting. Using finely ground enamel pigments you will be shown how to prepare them for your palette and how to apply them to your prepared base. Enamel painting is suitable for representing a range of imagery from representational portraits to abstract designs. This class would be most suitable for those who already have a reasonable level of ability in either oil or watercolour painting and some enamelling experience. It is £325 for the two days, including some basic materials – some extras can be purchased in class.